Smart, contemporary colours and the natural texture of wood, this collection of Wood Impressions... blinds is stylish and elegant and suitable for any room in the home. The strong, faux wood slats can cope with even the most challenging of environments, making them an ideal solution for kitchens and bathrooms. Offering a harmonious blend of practicality and design, these hardwearing Wood Impressions blinds... with tapes combine robust material with incredible style. Perfect for your kitchen or bathroom, they’re waterproof and strong, with textured slats and matching tapes allowing you to create a smart and elegant look in any room. For a stylish, contemporary home, this Metropolitan wooden blinds collection happens to be the... perfect choice. Seasoned timbers in the most modern of shades, these sleek slatted beauties are a real stunner. Offering incredible style at incredible prices, this Soho collection of genuine hardwood blinds... gives you the choice of trendy, painted slats or beautiful textured grains. 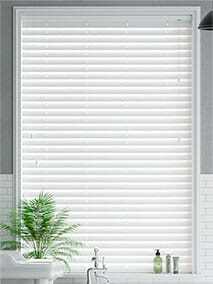 Robust, easy to clean and made to measure, these elegant wooden blinds provide sensational value for money. 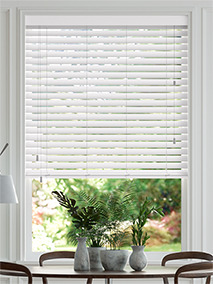 Our Metropolitan wooden blinds with tapes are the ultimate contemporary spin on a classic. A... stylish selection of shades, lacquered for a chic look and a robust finish, are paired with coordinated tapes that are slimmer, sleeker and create a look that’s both streamlined and elegant. Adding a touch of style to our best price real wood blinds, this Soho collection of wooden blinds... with tapes brings an element of magic to your home. The painted slats and textured grains are coordinated beautifully with strong tapes for a wonderfully chic, designer look. With a choice of matt and gloss finishes, this beautiful collection of painted wooden blinds allows... you to decide between bright whites, soft neutrals, warm greys and contemporary blacks to suit your home’s style and give it a smart and sophisticated finish. Pairing stylish tapes with gorgeous painted wood slats, this collection of real wood venetians... takes the beauty of nature and creates a cool, contemporary style. Bringing elegance and refinement to your home you can choose a combination of colours to suit any scheme. 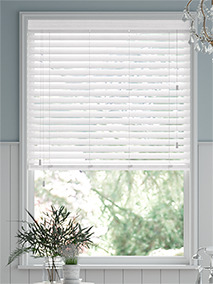 Giving your home a beautiful, organic feel this collection of Natural basswood blinds is made from... luxury grade premium hardwood for a smart and sophisticated look. 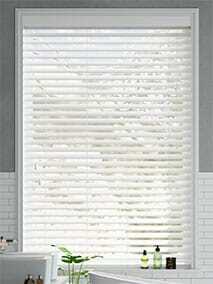 The blinds come in a range of textures and tones to suit any style, providing richness and depth to your home. Combining the organic look of real wood with smart and trendy tapes this collection is the ultimate... in sophistication and style. The wide range of textured slats and huge variety of stylish tones coordinate beautifully with the tapes for an elegant, contemporary look. The New England collection of wooden blinds brings you the practicality of a venetian and combines... it with the unique style of a plantation shutter. Made from premium quality hardwood, they have wide robust slats that allow you to make the absolute most of the natural light in your home. 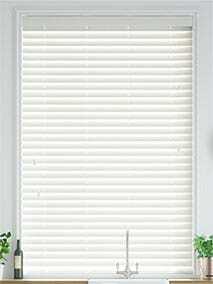 The natural look of wooden blinds adds real character to your home. Their timeless style and organic nature are perfect for both modern and contemporary spaces, adding elegance and texture to your home. Our Wood Impressions collection gives you all the design elements of a real wood blind with additional, practical properties of faux wood. Perfect for kitchens and bathrooms they are easy to clean and waterproof, allowing them to cope with lots of different environments. All of our real wood blinds are made from premium quality hardwood, offering durability and style and our Natural and Painted wood collections are ecologically managed and harvested. 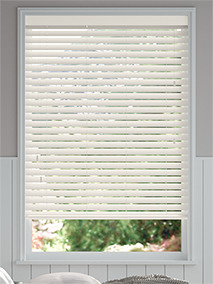 For additional chic, you can choose from coordinated tapes that add softness and style to the look of your blind. Perfect fit and easy to fix! Don't know what else to say, was great! Web site very easy to use. 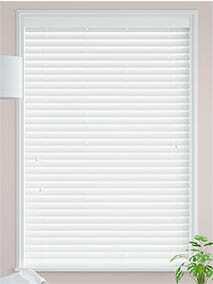 blinds arivied perfect fit, instructions very easy good quality will use again. Fab will be ordering more ! 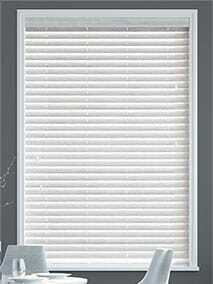 Blinds are great, value for money & super fast service. Would highly recommend them.